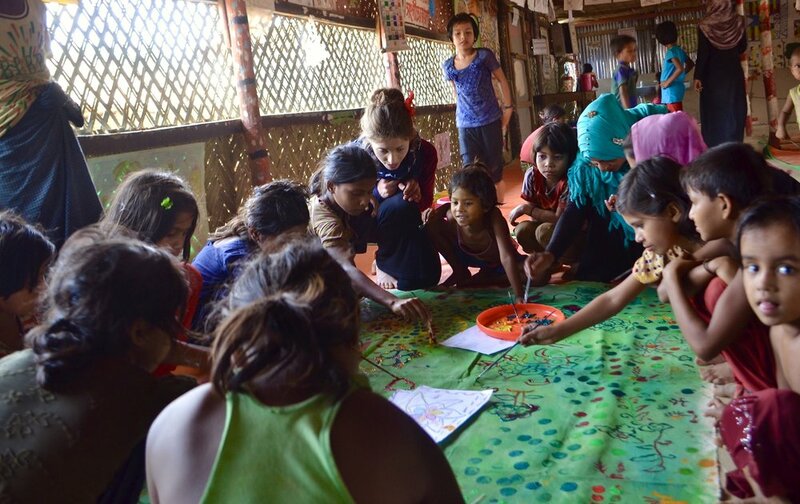 During her time in the Kutupalong refugee camp, Hannah spent her mornings painting with children in one of 200 Child-Friendly Spaces run by BRAC. Her afternoons were spent meeting with many Rohingya women and listening to their stories. 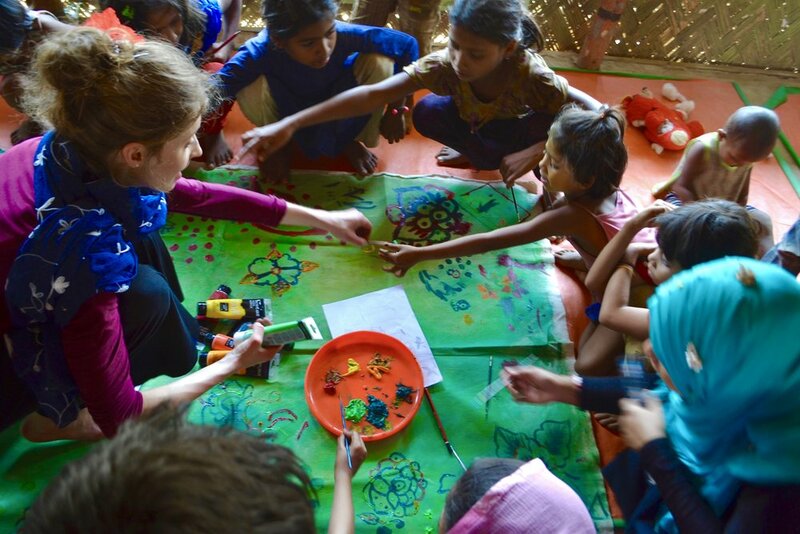 Following her return from Bangladesh, Hannah painted a number of portraits of the Rohingya women she met. The future of the Rohingya community is uncertain. Thousands are stranded in limbo, waiting anxiously to hear what will become of them.